Local sheriff's offices call it an epidemic every school in America is dealing with: mental health. But school district officials say they don’t have enough funds to hire the number of professionals needed. In the first 90 days of this school year, St. Lucie County schools on average involuntary committed one student every day via the Baker Act. The Baker Act is a state law which lets police, judges and doctors order people who appear to be mentally ill and pose a danger to themselves or others for an involuntary psychiatric exam. The St. Lucie County School District has only nine mental health professionals to rotate among 38 schools. “The State Legislature allocated some dollars for that and we are grateful for that, but it’s a drop in the bucket,” said St. Lucie County School District Superintendent Wayne Gent. Every school district is facing the problem. They have made strides in fortifying their campuses, but mental health is trailing behind. “Your threat could become internal rather than external. You could be dealing with a troubled student or staff member within your campus and at that point they’re already inside your single point of entry, so it’s two fold. It’s capital upgrades, it’s changing mindsets and it’s mental health awareness and providing assistance as needed,” said Jon Teskie, Assistant Superintendent of Operations of the Indian River County School District. Palm Beach County Schools Police Chief Frank Kitzerow says the emphasis on mental health has changed protocols. Now, when officers investigate a school threat, the district's mental health unit is included in the threat assessment and plan for action. "It’s new to the district it’s new to us, and it’s new to this profession,” said Kitzerow. * Martin County schools have been able to hire five more social workers. * Indian River County hired five more social workers and one supervisor. * St. Lucie County schools hired five more social workers and about five more psychologists. * Palm Beach County schools are hiring 11 more psychologists. 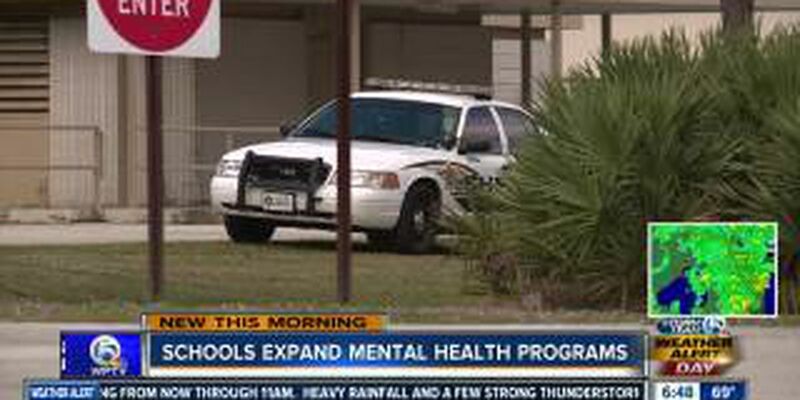 * Okeechobee County schools added four more employees to their mental health unit.